AlQuranClasses is set up originally to spread the Light of Qur’an among the people with the comfort of their home. The vision is to provide such Online Islamic Environment that can Educate people with true learning and understanding of Qur’an along with Quran Tajweed, Arabic Grammar and Dua Memorization. The Focus is to provide services to those people who live in Western Countries or Non-Muslim States where it’s difficult to reach the Mosque or Islamic Centre Daily for the Learning of Qur’an. Our services are especially for Women and Children who want to learn Qur’an but cannot approach a physical place on daily basis. 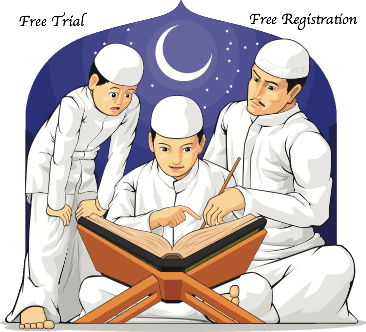 Our Online Qur’an Learning service is just the right choice for them Insha’Allah! So Our Focus is that we can benefit more and more people with learing of Qur’an via Internet and adhere to our Mission “Quran in Every Hand, Quran in Every Heart” Insha’Allah!